Mary Elizabeth Winstead is a popular American actress and singer. Check out this biography to know about her childhood, family life, achievements and fun facts about her. Mary Elizabeth Winstead is a Daytime Emmy Award winning American actress and singer. 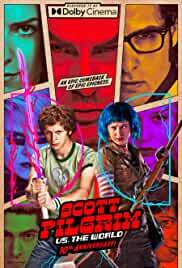 She is widely popular for playing the role of Ramona Flowers in the cult hit ‘Scott Pilgrim vs. The World’. She has received praise for her work in indie movies like ‘Smashed’ where she played the role of Kate Hannah. The actress has appeared in smash hits like ‘Final Destination 3’, ‘The Thing’, ‘Die Hard 4’, ‘Death Proof’, and ‘Abraham Lincoln: Vampire Hunter’. Her performance in the critically acclaimed ‘10 Cloverfield Lane’ earner her a Saturn Award. Currently starring in the third season of FX Network’s critical hit ‘Fargo’, as the main lead, Nikki Swango, she has been receiving raving reviews about her performance. Winstead is also ranked 10 on the list of ‘Hottest Women of Horror Movies’ compiled by Maxim. Mary Elizabeth Winstead was born on November 28, 1984, in Rocky Mount, North Carolina to Betty Lou Knight and James Ronald. She has one elder brother and three elder sisters. 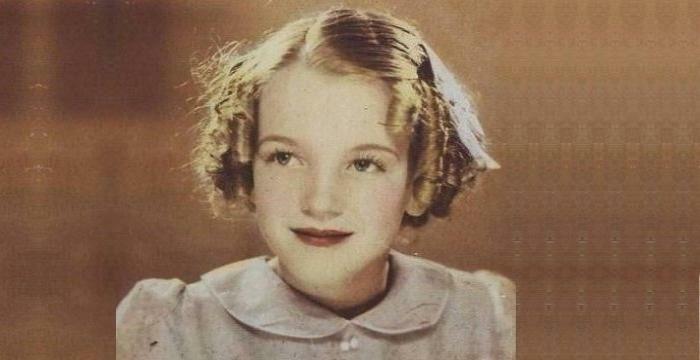 At the age of five, her parents decided to move to Sandy, Utah, near Salt Lake City. She was a bright child and was admitted to advanced classes at the Peruvian Park Elementary school. Her talents were not limited to the classroom and she joined Joffrey Ballet summer program in Chicago, Illinois to enhance her dancing skills. Her singing abilities led her to perform in the ‘International Children’s Choir’ as well at the early age of 12. Winstead initially strived to be a ballerina and even participated in small ballet productions. But she was compelled to abandon her ballet career when she was 13, as she grew too tall. She realized that her body was changing too much to meet the requirements and instead focused on acting. This also meant that she had to be homeschooled for most of her high school years. She graduated in 2004 while pursuing a career in acting. Mary Elizabeth Winstead’s first appearance was in the musical ‘Joseph and the Amazing Technicolor Dreamcoat’, starring Donny Osmond in 1996. She was only 12 years old and admitted later on that the experience wasn’t fun enough for her. Her performance in the show opened up new avenues and she bagged quite a few guest roles in TV series’. In 1997, she appeared in the uncredited role of Kristy Cordis in the episode, ‘A Delicate Balance’, in the series ‘Touched by an Angel’. In 1998, she was cast as Chloe in the series ‘Promised Land’. Her acting skills were noticed in the episodes ‘Denver, Welcome Home’ and ‘Recycled’ and this led to her first major break. In 1999, Mary Elizabeth Winstead landed the role of Jessica Bennet in the NBC series ‘Passions’. She appeared on 90 episodes and won praise for her performance, until her departure in 2000. She also played Annie Jacobs in the movie ‘The Long Road Home’, in 1999 and Tara in the movie ‘Father Can’t Cope’, the following year. She received her first major lead role in the supernatural thriller ‘Wolf Lake’ aired on CBS. She played the role of Sophia Donner and made her first appearance in the pilot ‘Meat the Parents’ on September 19, 2001. Low ratings led to the cancellation of the series after 10 episodes. The final episode, ‘If These Wolves Could Talk’ starring Winstead was aired on May 1, 2002. In 2003, she acted in the TV movie, ‘Then Came Jones’. She also appeared in one episode of the TV series ‘Tru Calling’ in 2004 and had a big role in the action-horror-comedy made for television movie ‘Monster Island’. Mary Elizabeth Winstead established herself a force to contend with in the horror movie genre in 2005, with her performance as young Evelyn in ‘The Ring Two’. She had a small role as Lisa Apple in the comedy movie ‘Checking Out’ as well. Walt Disney Pictures superhero movie ‘Sky High’ was the highlight of the year 2005 as she played the role of the primary antagonist. By 2006, Winstead had already started working with critically acclaimed directors and producers like James Wong and Glen Morgan. She was cast in the lead role of the protagonist, Wendy Christensen, in the movie ‘Final Destination 3’ by the duo. She went on to work with the same duo later in the year, in the movie ‘Black Christmas’. Her acting won her a nomination at the 2007 Scream Awards, and an appearance on the ‘Tonight Show with Jay Leno’. 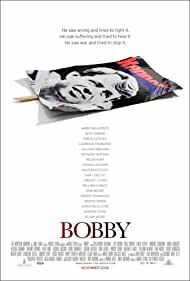 She also starred in the 2006 movie ‘Bobby’, based on Robert F. Kennedy’s last hours before death and in a small role in the movie ‘Factory Girl’. The year 2007 saw Winstead being cast in Quentin Tarantino’s and Robert Rodriguez’s double-horror feature ‘Grindhouse’. She played the role of a naive actress alongside the likes of Kurt Russell, Rosario Dawson and Zoe Bell in ‘Death Proof’ directed by Tarantino. Despite the lack of commercial success, the film and the cast received critical acclaim. Her praiseworthy performance in ‘Death Proof’ would open up the door to the blockbuster franchise ‘Die Hard’ starring Bruce Willis. 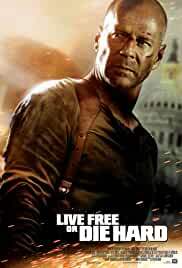 She portrayed the role of Bruce Willis’s daughter, Lucy, in the fourth installment of the franchise ‘Live Free or Die Hard’. The film was a major success and made more than US$380 million. She was also reviewed positively for her performance in the 2008 dance film ‘Make it Happen’. In spite of the film being panned by critics, it was noted that her acting and dancing were the only saving grace. Perhaps, Mary Elizabeth Winstead’s most famous role came in 2010, when she went on to star in the movie ‘Scott Pilgrim Vs The World’. She starred as Michael Cera’s love interest Ramona Flowers and the female protagonist of the movie. The actress underwent fight training and did most of her own stunts. She also appeared as Ramona Flower’s in Brie Larson’s music video ‘Black Sheep’. She played the role of Kate Lloyd in the 2011 movie ‘The Thing’ which is a prequel to the 1982 movie of the same name. Although the film was met with mixed response, Winstead’s performance was singled out as the most appealing. Like many actors of her time, Winstead went the indie film industry route and ended up doing James Ponsoldt’s ‘Smashed’ in 2012, opposite ‘Breaking Bad’ star Aaron Paul. Her enigmatic performance as a recovering alcoholic wife was met with admiration and recognition by critics at the 2012 Sundance Film Festival. She portrayed the role of Mary Todd Lincoln, in ‘Abraham Lincoln: Vampire Hunter’ in 2012. The same year saw her appear in the TV mini-series ‘The Beauty Inside’. She also found herself working with her co-stars from ‘Scott Pilgrim Vs The World’ in Roman Coppola's ‘A Glimpse Inside the Mind of Charles Swan III’, in 2013. She acted in the movie ‘A.C.O.D’ and had a brief appearance in ‘A Good Day to Die Hard’ in 2013. 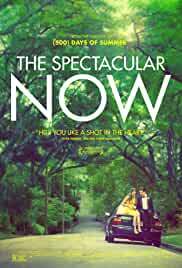 She was also cast in the romantic comedy-drama, ‘The Spectacular Now’, in 2013. In 2014, she played the title role of Alex, in the movie ‘Alex of Venice’ and had major roles in the movise ‘Faults’, and ‘Kill the Messenger’. By 2015, Winstead had already been playing the role of Rowan Blackshaw in the A&E’s TV series ‘The Returned’. 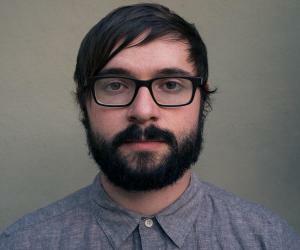 Winstead returned to movies in 2016 with the critical and commercial hit ‘10 Cloverfield Lane’, directed by Dan Trachtenberg. The movie and particularly Winstead’s performance was praised unequivocally by reviewers and critics. 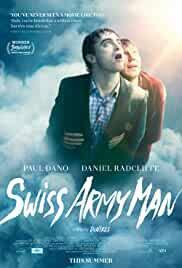 Viewers also saw her in the indie movie ‘Swiss Army Man’, with Daniel Radcliffe. She made a brief appearance in John Krasinski's ‘The Hollars’ as well. Known for playing diverse roles at the same time, the actress has astonished everyone with her performance in the TV series ‘Mercy Street’, set in the background of the American Civil War. The 2016-2017 series has her playing Mary Phinney, one of the lead characters. She also appeared in the CBS TV series ‘BrainDead’ in 2016. Her acting chops have more recently mesmerized viewers in the dark comedy-crime drama series, ‘Fargo’ airing on FX. She portrays Nikki Swango, a parolee, in the third season of the series acting alongside Ewan McGregor. Recent reports also suggest that Winstead will be starring in Riley Stearn’s movie ‘The Art of Self-Defense’ and screenwriter Eva Vive’s directorial debut ‘All About Nina’. Mary Elizabeth Winstead is also an accomplished singer and part of the musical duo ‘Got a Girl’, with music producer Dan the Automator. Their first album, ‘I Love You but I Must Drive Off This Cliff Now’ released in 2014, was received well by the music community. 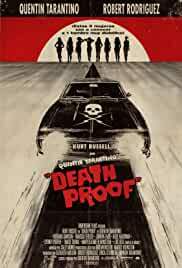 She has also sung a cover of ‘Baby It’s You’ by ‘The Shirelles’ in Tarantino’s ‘Death Proof’. The alternative hip hop trio ‘Deltron 3030’ also featured the actress in their songs ‘The Agony’ and ‘Look Across The Sky’. Mary Elizabeth Winstead’s most important works include ‘Sky High’, which went on to gross US$86.4 million at the Box Office. ‘Final Destination 3’ earned US$ 117.72 million. The film remained the highest grossing sequel of the franchise until 2009. 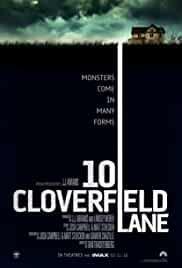 10 Cloverfield Lane’’ is another milestone in her career. Made on a budget of US$ 15 million, the movie has grossed US$ 110.2 million. Mary Elizabeth Winstead was nominated for ‘Best Young Actress in a Daytime TV Series’, in 2000 and 2001 for her role in ‘Passions’. In 2006, at the ‘Hollywood Film Festival’, she won the award for ‘Best Ensemble Cast’ with her co-stars in ‘Bobby’. 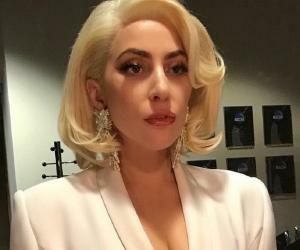 She was also nominated for the same movie for ‘Outstanding Performance by a Cast in a Motion Picture’ at the ‘Screen Actors Guild Awards’. In 2013, at the Dallas International Film Festival she won the ‘Shining Star Award for Best Actress’ for the movie ‘Smashed’. In the same year, she also won a ‘Daytime Emmy Award for ‘Outstanding New Approaches - Original Daytime Program or Series’ along with her cast of ‘The Beauty Inside’. For her performance in ’10 Cloverfield Lane’, Winstead won the ‘Best Actress’ award at the ‘43rd Saturn Awards’ in 2017. Mary Elizabeth Winstead was selected as one of the ‘Top 100 Sexiest Stars in movie history’ by Empire Magazine and was ranked 88 on FHM’s list on the same category.